Case Logic recently sent me their new Kontrast Action-Cam Case to try out. 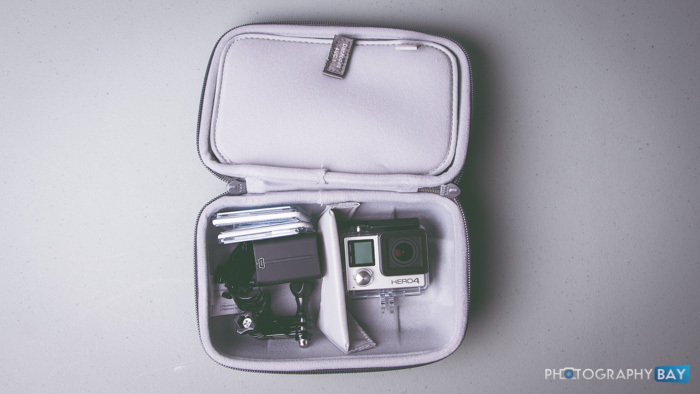 I’ve been using the case for a few weeks now and am completely sold on the idea of a dedicated bag that is made for GoPro gear. Case Logic has come a long way in recent years. I previously reviewed the Reflexion shoulder camera bag, which I found to be a great bag for the money. The Kontrast Action-Cam Case is no different. The bag is well made with a customizable and padded main compartment. 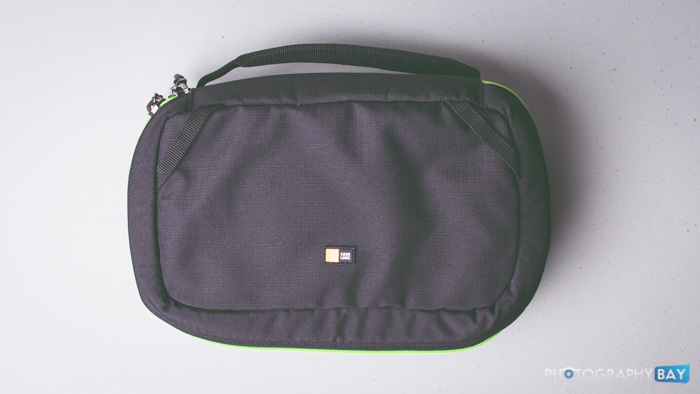 It includes a removable mesh bag for stowing smaller parts and cables – a very nice touch. 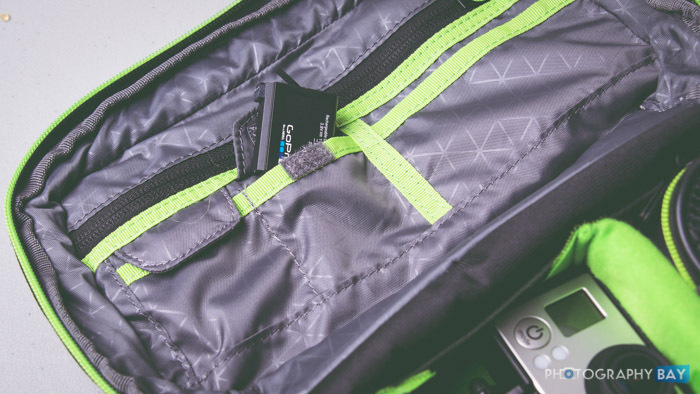 The Kontrast bag has two velcro pouches on the inside of the lid for storing spare batteries. A larger, zippered pouch on the lid can handle bigger accessories and other loose items that you don’t want rattling around in the main compartment. 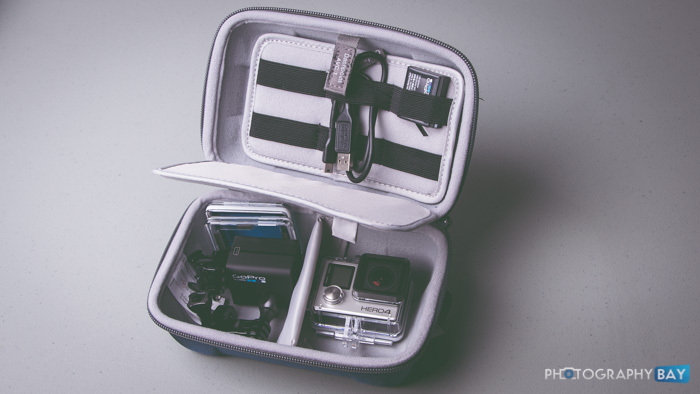 These are really all the things I want in any camera bag. Give me lots of options to put things in different pouches. If I want to carry a pen and small notepad, I can with this bag. It’s durable enough that I don’t have to worry about my camera getting damaged. 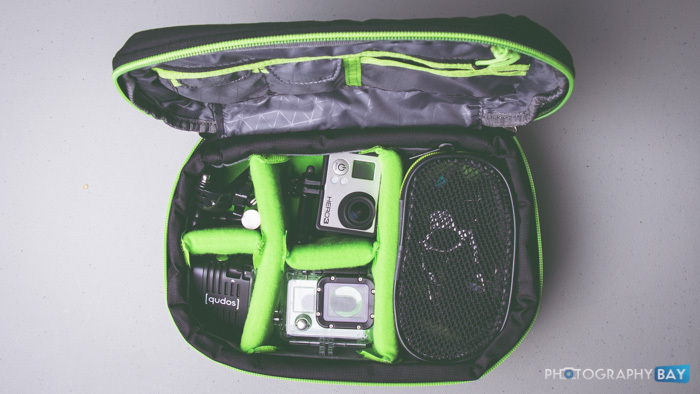 There is plenty of padding for the small GoPro cameras and accessories. 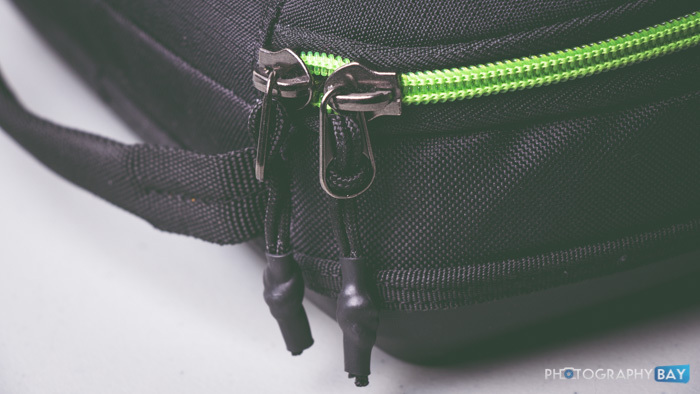 The zippers are also durable and very functional, which is a major sticking point for me and camera bags. If a bag is hard to open and close, or if the zippers stick on the material, then I’m just not going to use it. A grab handle makes the bag easy to carry or, as I often do, attach it to my main camera bag with a carabiner. It is very sturdy and does not give the impression that it could detach under anything less than major stress, which would probably be enough to pull your main camera bag off your shoulder anyway. I own a Lowepro Dashpoint AVC 1 action-cam case that I got in a kit when I bought my HERO4, and I just don’t like it as much as the Case Logic bag. 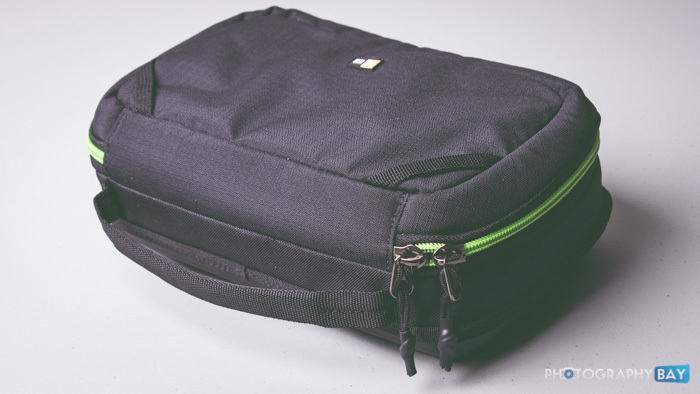 The hardshell design is a different approach from the Case Logic bag and probably delivers more protection from the outside; however, there is no padding on the inside other than the dividers. That’s probably not a huge deal for GoPro cameras though. A big sticking point for me is that the Lowepro Dashpoint cases offer no separate compartments to stow accessories. A padded divider separates the top from the bottom but the accessories are actually stowed on a board with elastic straps. 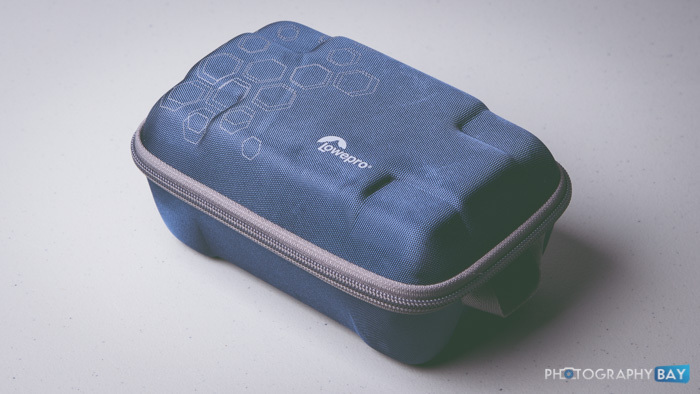 I just prefer the dedicated mesh pouch and zippered/velcro pockets on the lid of the Case Logic bag. This is true compared to the larger, and directly comparable, Lowepro Dashpoint AVC 2 bag as well. While I don’t own the larger Lowepro bag, I’ve handled them at various trade shows and they are just a larger version of the Lowepro Dashpoint AVC 1 that I have. 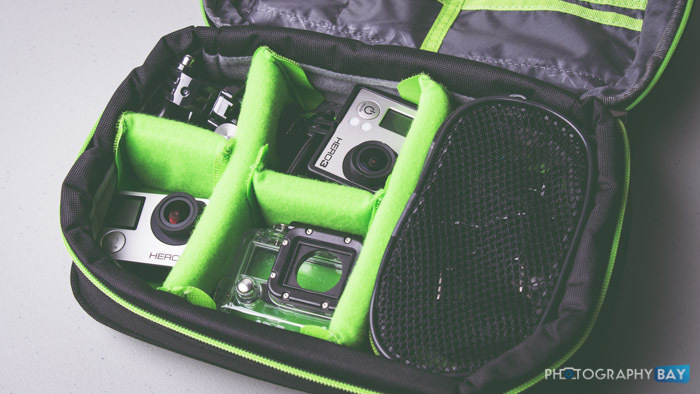 Both the Kontrast Action-Cam case and the Lowepro Dashpoint AVC 2 bags retail for $39.99. For the money, I think the functionality of the Kontrast bag is superior to the Lowepro bag. Case Logic has another winner on its hands with the Kontrast Action-Cam case. A brand that I used to associate with what you buy in the Walmart camera department is really stepping up its game to deliver quality products for enthusiast and professional users at still-reasonable prices. Highly recommended. The Case Logic Kontrast Action-Cam Case is available here at B&H Photo.